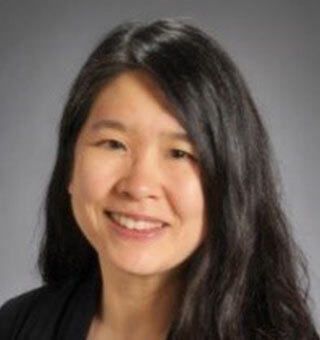 Katherine Shim, PhD, brings a government agency perspective on existing needs in seed grant funding, along with an important understanding of how the National Institutes of Health (NIH) considers research funding applications. Currently a Scientific Review Officer at the National Institute on Deafness and Other Communication Disorders (NIDCD) at NIH, she previously was Assistant Professor, Pediatrics, Cell Biology, Neurobiology and Anatomy, and Otolaryngology and Communications Sciences at the Medical College of Wisconsin in Milwaukee. There, she led an extramurally funded research laboratory investigating the role of cell signaling during the embryonic development of the inner ear. Shim’s research took a molecular and genetic approach to understanding inner ear development in the mouse. Her aim was to uncover mechanisms by which congenital hearing and balance disorders arise—and in turn, find clues to their treatment. She earned her PhD in Philosophy and Biochemistry from Stanford University and completed her postdoctoral training at the University of California, San Francisco.